So far, we were able to see just some testing mules of BMW’s first full-size SUV, yet today we managed to catch the real thing. 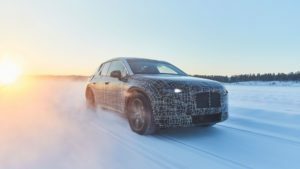 Feast your eyes with the production-ready prototype of the 2018 BMW X7. It looks good, brawny and stylish. 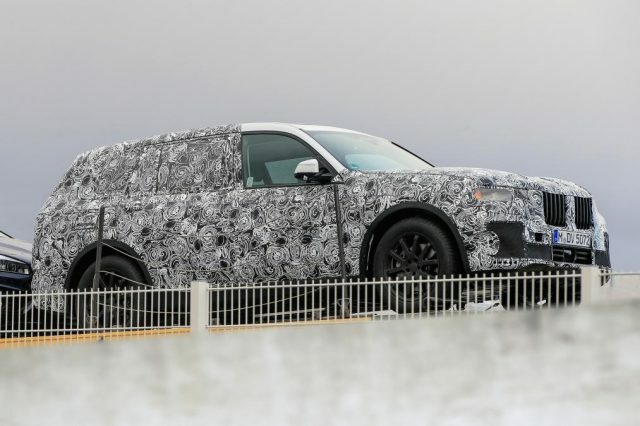 BMW’s full-size SUV has been one of the most rumored cars in the recent two years, so we can say that we know pretty much everything about it. The German car manufacturer will use an ultra-light CLAR architecture that involves plenty of aluminum parts, as well as some carbon fiber-reinforced plastic. Except it is lightweight, modular and rigid, the platform can accommodate a wide range of engines. Speaking of which, the 2018 BMW X7 will start with a new inline-6, but it will definitely add a V8 and probably the thirsty V12. The base 3.0-liter turbocharged inline-six will make about 320 horsepower, while the 4.4-liter V8 should produce 445 horsepower. The range-topping model will likely get the “M” badge and will use a twin-turbocharged 6.0-liter V-12 that delivers a peak output of 601 horsepower and 590 pound-feet of torque. Of course, the automaker won’t miss the chance to introduce some kind of a hybrid too. 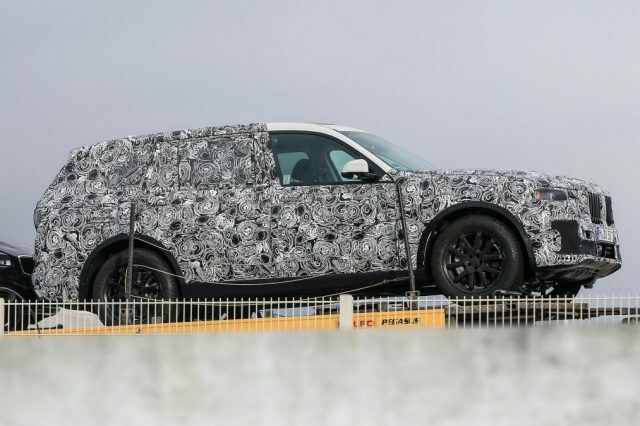 Although camouflaged, the prototype clearly shows its brand new face. It is so obvious the influence of BMW’s new design language that we already saw with the prototype of the new generation X5. The front end sports the distinctive and huge kidney grille, as well as pretty big air intakes below. The large SUV gets pronounced wheel arches and at least 20-inch wheels. The overall design is smoother than we expect. There are very sleek lines all around, so the all-new high-riding car looks premium and luxurious. The interior is something we haven’t managed to see, yet we are sure there will be plenty of space for all seven passengers. Styling and tech wise, well, there will be plenty of similar to the 7-Series. There will a ton of advanced technology with very intuitive infotainment with a large touchscreen, as well as voice commands and gesture controls. Of course, the carmaker won’t skip the chance to add the amazing massage seats, but also the best possible safety features. After all, the 2018 X7 will compete against some amazing SUVs like the Lincoln Navigator, Cadillac Escalade, Audi Q7, and Mercedes-Benz GLS, so must offer the best possible equipment that they have at the moment. 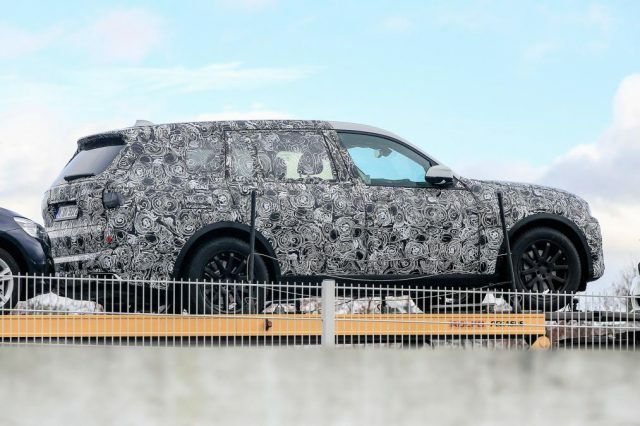 Oh yes, we forgot to mention the stylish Land Rover Range Rover and Jeep’s upcoming Wagoneer. 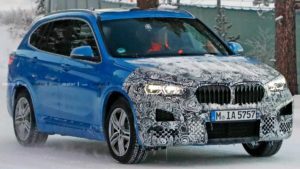 The full-size Bimmer SUV will become available sometime either in late 2017 or in early 2018, while the official debut should be sometime earlier, most likely at the 2017 Geneva auto show. . According to the latest reports, the price will range between $70,000 and $125,000.